Carers also need to take care of themselves. If you’re supporting an older person living at home, your wellbeing is critical to theirs. We offer a range of flexible respite services in Victoria to help you maintain your independence, happiness and health. Get things done or take a break while your loved one receives excellent care. Benetas has a range of respite options – select the option that might suit you. Benetas runs a range of day programs that are held Monday to Friday and run by qualified coordinators. These are great opportunities for older people to socialise with others, play games, and share delicious meals together. There are also opportunities to go on outings to places like the beach, shopping markets, cinemas, parks and other fun activities. Contact our Customer Centre on 1300 23 63 82 to find a location near you. Need a break overnight? Benetas offers diligent out-of-hours and extended respite care for your loved one at both our dedicated respite centres and residential homes. Vigilant staff are on call 24 hours a day, and we provide delicious meals throughout the day. We do everything we can to help your loved one feel at home – including sticking to their usual routine. Whether they join us for one night, a weekend or several days, our overnight clients often establish fantastic connections with our friendly staff. Regular carer unavailable? Many of our comfortable residential care facilities have dedicated rooms for respite clients. These can be used by older people who are unwell or need extra care after a stay in hospital. Call our Customer Centre on 1300 23 63 82 for more information, or view our residential facility locations. Worried that moving your loved one to a new environment for the night could be more hassle than it's worth? We can come to you. 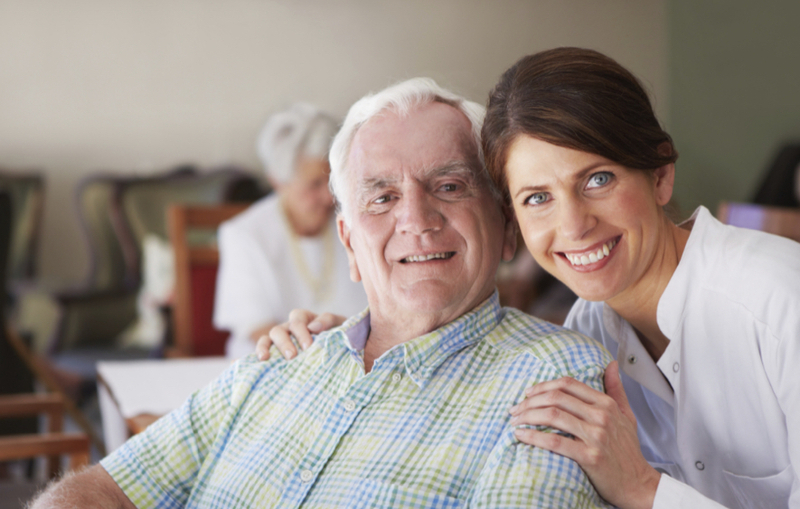 A Benetas Home Care Personal Care Worker can provide quality care in the safe environment of your home. There’s no waiting list for this service and support is available 24 hours per day, seven days a week. Are you eligible to receive government-funded assistance? If you are, most of your respite costs will be taken care of. You might be asked to make a small co-contribution. This is calculated based on your income and assets. Benetas is a not-for-profit organisation, and we don’t ask clients to make a contribution when it would cause undue hardship. Call 1300 23 63 82 to find out more. "Benetas has made my mum's life such a better experience than before. My life as son has been made so much less stressful." "We feel very positive about the care and services at Benetas and that my husband always comes home happy from time spent there." "My relative attends a Benetas Respite Centre. It’s a great service making my life as carer much better than before. The overnight service is great." "I enjoy going on excursions here. I like that I am able to get out of the house and be active." "I really enjoy being here and am sad when I can't come here and participate in the activities." We also have respite at our Residential Aged Care homes. We’re here to support you however we can. Contact a real life person about your real life situation.